This is awesome! 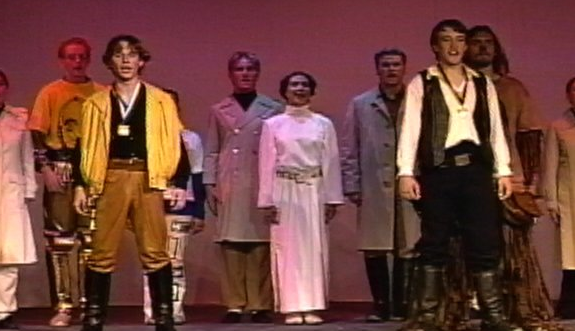 Back in 1996 a high school took the classic sci-fi fantasy film Star Wars: A New Hope and adapted it into a freakin' stage play musical! The high school ended up selling out every show. Everything was going great until George Lucas found out about it, he road in on his horse and slapped on a cease-and-desist order on the school and the play. The guy must have spies everywhere. But now this Star Wars high school play can be seen in its entirety, and it actually turned out to be pretty charming production. You can watch the full play below.